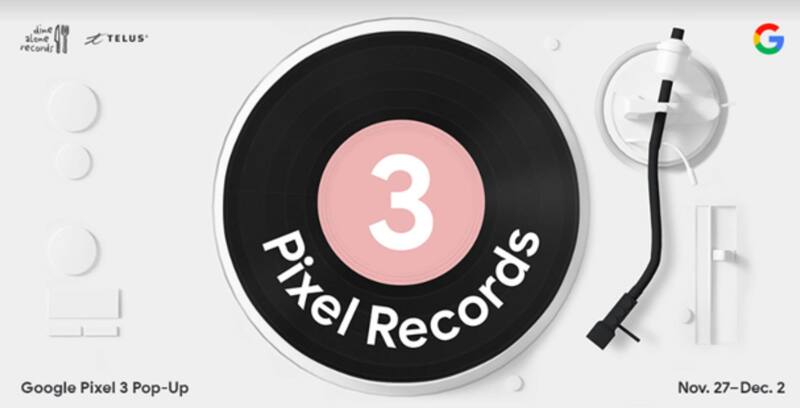 Google is holding a Pixel 3 pop-up on Queen Street West in Toronto next week. The pop-up will be available from November 27th to December 2nd, running from 11am to 8pm at night at 202 Queen St. West. The pop-up will have a throwback record shop theme, according to Google. When you get there, Google will hand you a Pixel 3 and give you the opportunity to walk through the four-floor venue. The floors are filled with challenges, photo-opp opportunities, music and other surprises. Additionally, there’s a chance to win a Google Pixel 3. Google says it will inform guests regarding how to win the smartphone at the pop-up. Google is teaming up with Dine Alone Records and Telus for this pop-up.